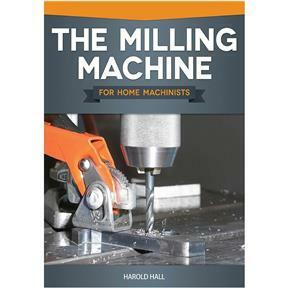 This book provides the detailed knowledge you need to successfully choose, install, and operate a milling machine in your home workshop. Lavishly illustrated with color photographs and diagrams, it will help you to understand which accessories are essential, and which can be postponed until your activity demands it. The usage of each machine and accessory is explained in detail for the vast majority of applications in an active shop. The real learning curve begins once your milling machine and its accessories are chosen and installed. Discover your options for holding the many diverse shapes and sizes of work pieces that will inevitably surface during your machine's life. This critical task is by far the most important part of learning to use the machine. Learn how to decide which method is best for any application-whether to use a vice or an angle plate, or mount the piece directly onto the worktable, or even produce a fixture specifically for the task. With the work piece set up and ready for machining, the book goes on to show you the right ways to cut metal and maintain your milling tools. Softcover, 120 pages.